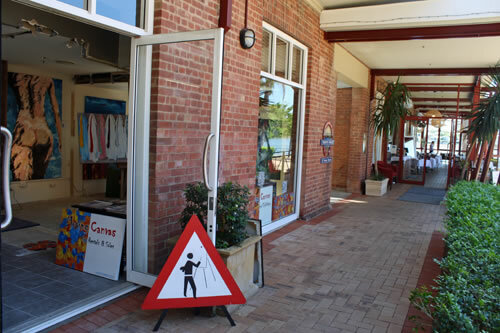 See Banx Research Expeditions for a description, photos and a few short videos of the trip. 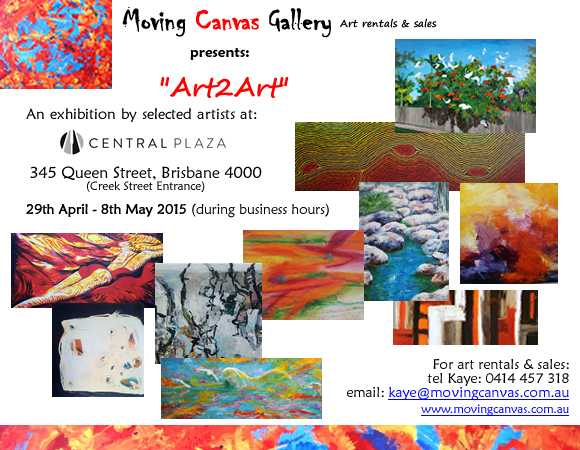 Central Plaza One, 345 Queen Street, Brisbane. 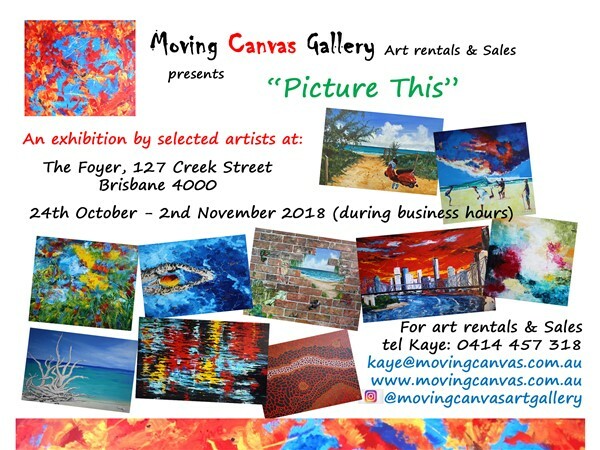 Moving Canvas is proud to have showcased ‘Emerge’, 95 diverse artworks by 20 emerging Queensland artists in The Foyer of Central Plaza One, 345 Queen Street, Brisbane. 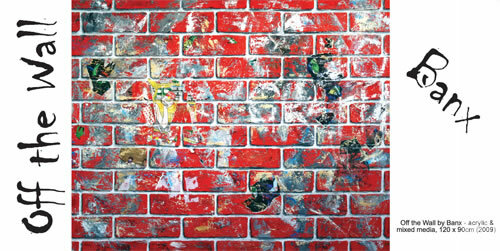 3rd – 11th March, 2005. 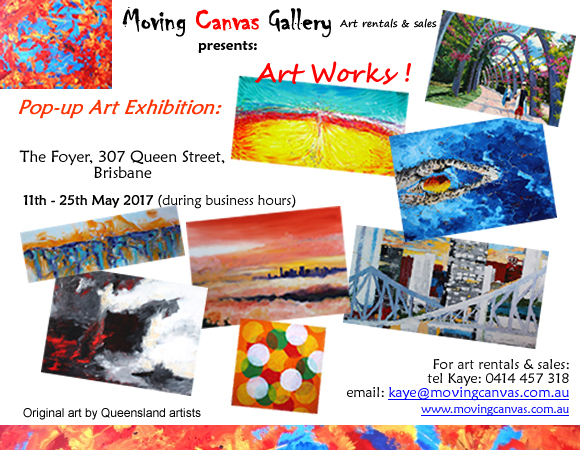 Moving Canvas wishes to thank Deputy Lord Mayor Councillor David Hinchliffe for his enthusiastic opening speech on Thursday 3rd March, and for his support and encouragement of the local emerging arts scene, and in particular, his support of the concept of promoting and leasing art to central Brisbane businesses. 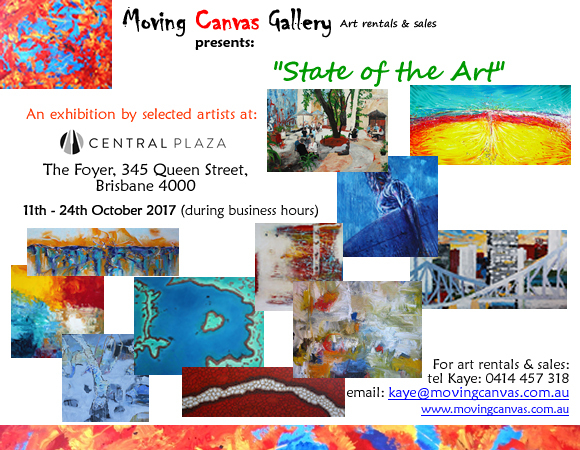 The show was a great success and, Moving Canvas appreciates all those who helped in the set-up on the night: to organisations such as Dusty Hill Wines who helped sponsor wines; Caxton Street Catering for their delicious creative canapes; Temporary Fence Hire for efficient delivery and installation of the fencing system for hanging the paintings; and to Frazer Tugia Goodman for his terrific live jazz music; and of course Central Plaza Management for making the wonderful ambient space available to Moving Canvas to showcase our artists. 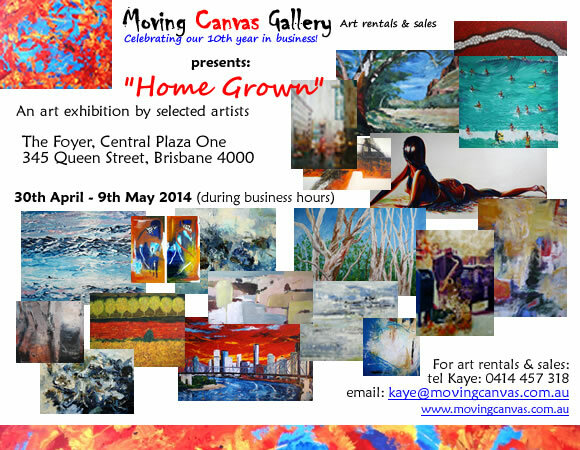 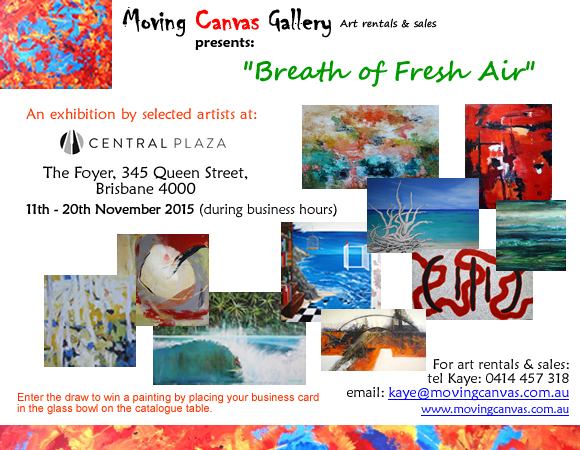 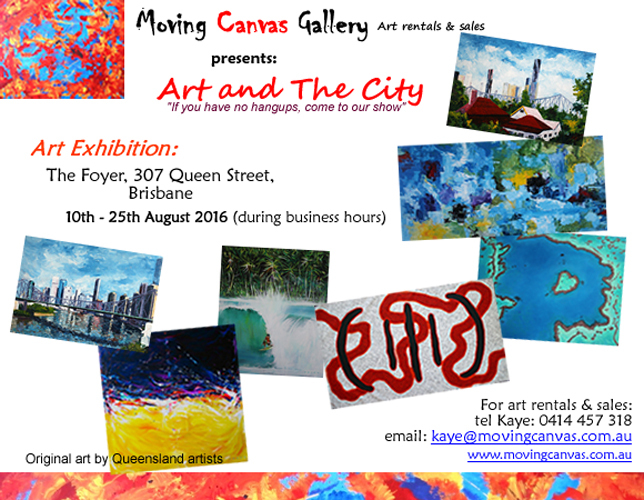 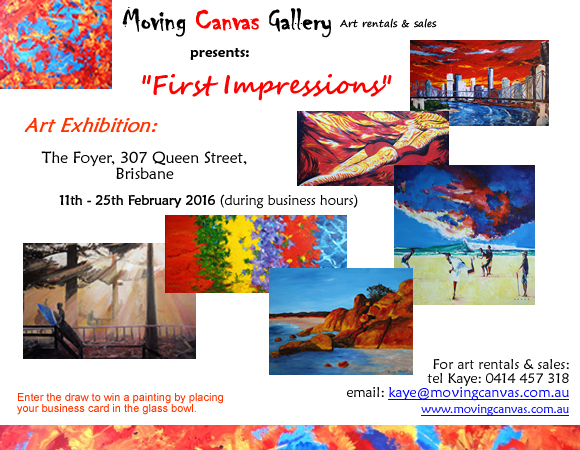 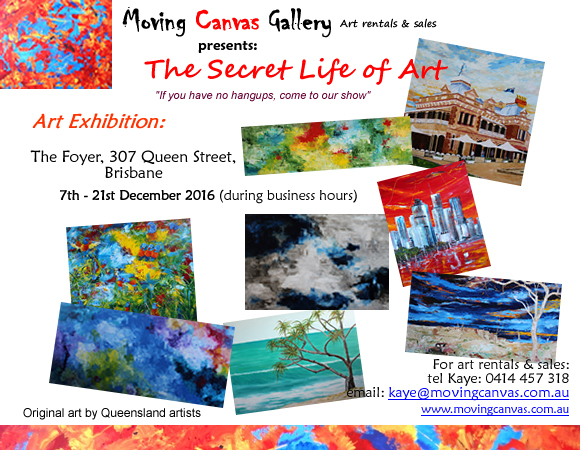 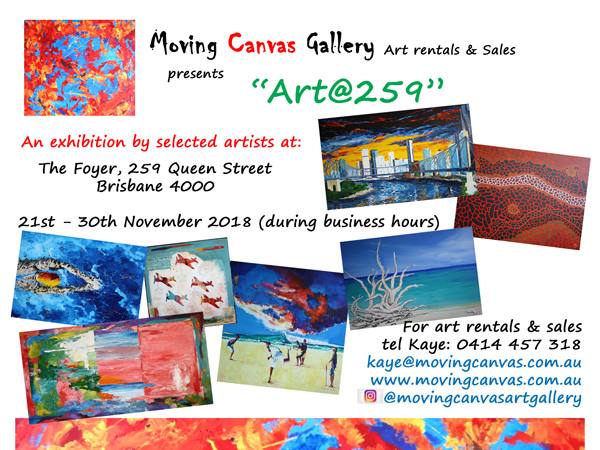 Thank you to Bob Wilson, Courier-Mail Prime Site, for including his article on Moving Canvas in the Friday edition. 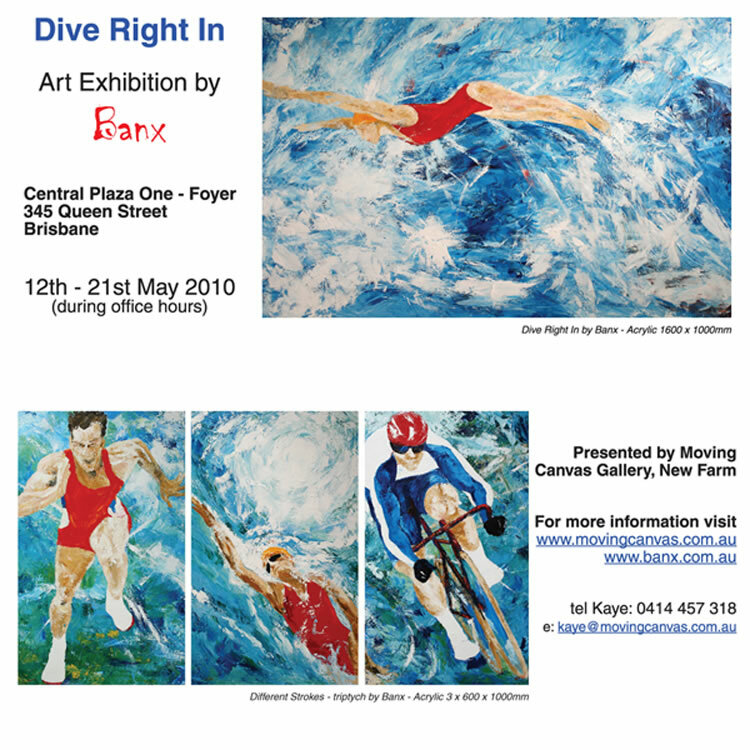 Also, thank you to South East Advertiser for their article dated 16 February 2005. 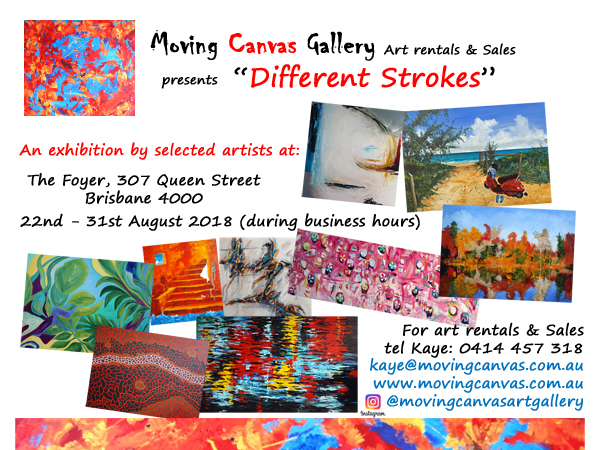 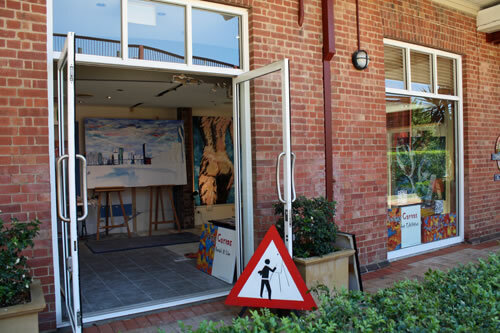 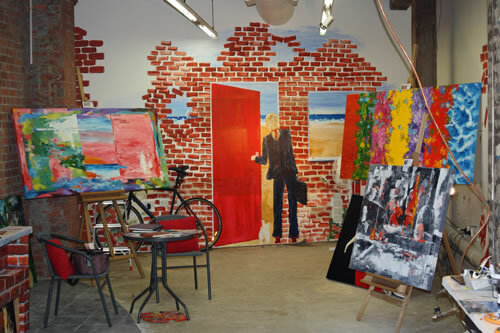 Catering by: Caxton Street Catering, 32 Berwick Street, Fortitude Valley, Brisbane 4006.
or the Office 07 3352 3772 for any inquiries regarding art leasing or sales by talented contemporary Queensland artists.